Introduces, punctuates, or ends sections of study; as homework or in-class listening. Resources for further information and material. Religious tension exists today around the world. Some people identify very strongly with their religion and at times, this makes it difficult for them to accept the other religious identities surrounding them. This has the potential to lead to serious misunderstandings and even violence. The Voices on Antisemitism podcast series is designed to bring together a variety of people of different backgrounds to comment on why antisemitism matters today. The individuals represented here come from a wide range of backgrounds and religious affiliation. Specific examples of podcasts on this topic include Imam Mohamed Magid, who stands up against antisemitism and Holocaust denial; Father John Pawlikowski, who encourages Catholics and others to confront the long history of Christian antisemitism; Rabbi Gila Ruskin, who appreciates the many ways that Jews and Africa Americans have a shared history; and Colonel Edward Westermann, who prepares his cadets to confront morally complicated situations. On numerous occasions in religious history, the language of religious tradition has been used as a weapon of prejudice or violence. 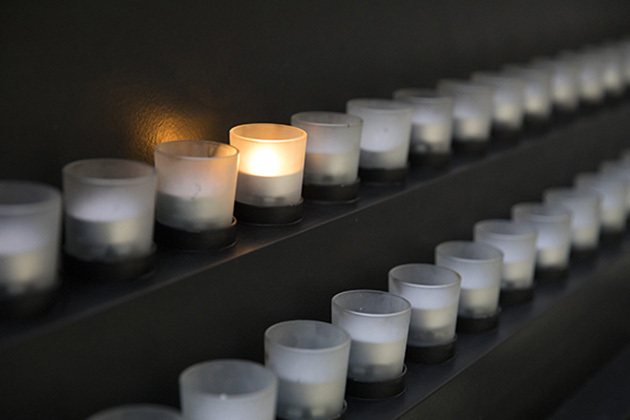 The Holocaust raises particular challenges for Christianity because of the centuries of anti-Jewish rhetoric, prejudice, and violence throughout Europe grounded, in part, in Christian understandings of their tradition and teachings. Jesus and his disciples were observant Jews, and Jesus was executed by the Roman government because officials viewed him as a political threat to their rule. Yet as the early Christian church emerged and became aligned with political power, the Jewish population became the target of theologically framed prejudices and stereotypes. Jews were blamed for the crucifixion of Christ; the destruction of the Temple by the Romans and the scattering of the Jewish people was interpreted as punishment both for past transgressions and for continued failure to abandon their faith and accept Christianity. Seeking to retain their beliefs and culture, refusing to convert to Christianity, Jews were members of a minority religion on the Christian continent of Europe. There were periods in some countries during which Jews were welcomed but, at a time in which faith was perceived as the principal form of self-identity and intensely influenced both public and private life, Jews found themselves increasingly isolated as outsiders, the objects of violence and discrimination. The racial antisemitism of the National Socialists (Nazis) was a new development that took hatred of Jews to a genocidal extreme, yet it emerged on a continent where antisemitism has become deeply embedded in the history and the culture. The Holocaust began with words and ideas: stereotypes, sinister cartoons, and the gradual spread of hatred over hundreds of years. Father John Pawlikowski speaks about the history of Christian antisemitism. How did historical Christian antisemitism lay the foundation for the widespread popular support for National Socialism in Germany? Imam Mohamed Magid discusses the importance of interfaith connections. What parallels does he see between Christians, Jews, and Muslims? What roles do these religions play in fighting antisemitism and Holocaust denial? Many of Rabbi Gila Ruskin’s students struggled to speak up when they saw wrong-doing. Similarly, Colonel Edward Westermann prepared his cadets to act responsibly in morally complicated situations. Consider the lessons imparted to both groups. Why is it important to speak out? 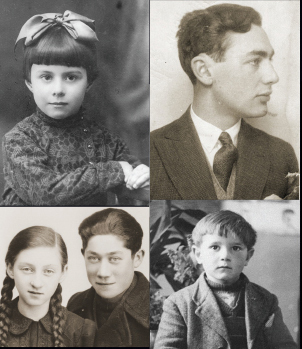 How do Rabbi Ruskin's and Colonel Westermann’s classroom lessons connect to the situation of bystanders during the Holocaust? How can you become an “architect of greater religious understanding”? Is religious identity shaped internally, externally, or both? Some people display external markers of religious identity. Discuss the hijab, Roman collar, kippah, and other symbols of religious identity. Create your own podcast interview: Students discuss how they identify with religion and how they can strengthen interfaith understanding around them. Group Activity: Break the class into small groups and have each group listen and respond to an individual podcast. Afterwards, divide students into new groups such that each has a representative of each podcast. Have each student discuss the viewpoint of their individual. As a group, have them find points of intersection between the individual perspectives. Photo Activity: Using quotations from the podcast series, students portray their thoughts and feelings about that quotation through photographs selected from the United States Holocaust Memorial Museum’s Photo Archive database.